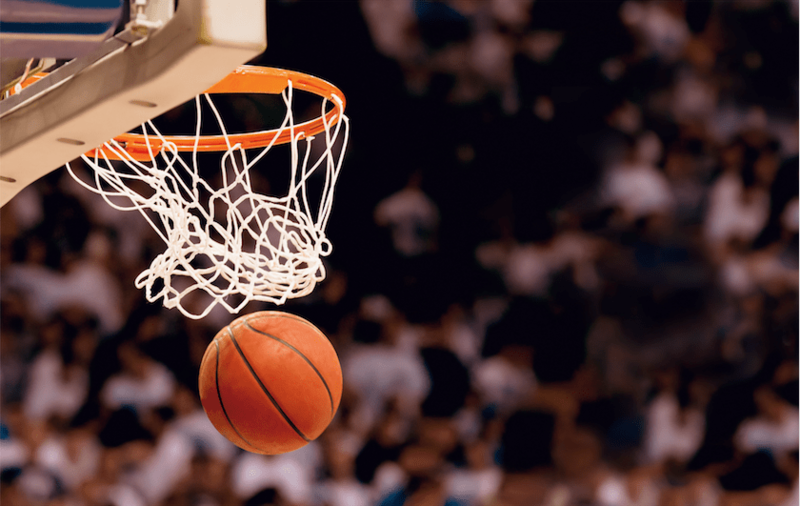 Watch basketball live stream video and follow all the main basketball leagues, such as NBA, EuroLeague, EuroCup, NCAA and European national championships. Also, witness the epic battle between Cleveland Cavaliers and Golden State Warriors in NBA and cheer for your favorite player - LeBron James, Stephen Curry, Russell Westbrook or James Harden. NBA is the most popular basketball league in the world. With the inception of a "super-team" Golden State Warriors and LeBron James' comeback to Cleveland Cavaliers, these two teams became the biggest rivals for the championship ring. However, don't forget experienced San Antonio Spurs, that are certainly capable of competing with these two teams. Watch LeBron James, Stephen Curry, Kevin Durant, James Harden, Kyrie Irving, Anthony Davis, LaMarcus Aldridge, Kawhi Lenard and other huge NBA stars on a daily basis on our live streaming platform and don't miss any NBA action.Manu Ginobili and Tony Parker have the most rings among active NBA players; they won four NBA championships with San Antonio Spurs. LeBron James will have an opportunity to tie their record this year if Cleveland Cavaliers defend their title won last year. Boston Celtics are the most successful club in NBA league with 17 titles, while Minneapolis/Los Angeles Lakers won 16 titles. The rest of the clubs weren't that lucky - the next on the list are Chicago Bulls with six titles, San Antonio Spurs won five titles, Philadelphia/San Francisco/Golden State Warriors won four titles and so on. Gregg Popovich is the living legend among the NBA coaches, with five rings, all won with San Antonio Spurs. Phil Jackson will stay as the best coach in NBA history for a long time since he dominated with both Chicago Bulls and Los Angeles Lakers and won an incredible 11 championships! EuroLeague is the top basketball competition in Europe. It consists of the best 16 European teams that play 30 league matches. After the league ends, the top eight teams will advance to the playoffs which will give an ultimate EuroLeague champion. CSKA Moscow and Real Madrid are the biggest favorites for the title, but we mustn't forget Fenerbahce, led by the most successful European coach, Zeljko Obradovic. Real Madrid is the most successful European club, with nine championship titles, the last in 2014/15 season. CSKA Moscow is the second most successful club with seven titles, and they are the reigning European champions, while Maccabi Tel Aviv and Panathinaikos won six titles each. Watch Sergio Llull, Milos Teodosic, Bobby Dixon, Keith Langford, Ekpe Udoh and other stars fight for the MVP title in this years' EuroLeague.